Less than two months from their previous Pay-Per-View effort, “Best In The World,” you could feel a sense of transition amongst the Ring Of Honor storylines. 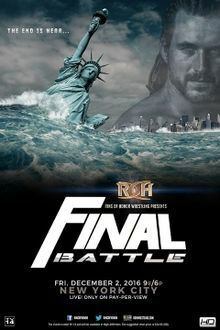 The focus had shifted from ROH World Champion Jay Lethal and his dominance with The House Of Truth to that of Bullet Club, now with Adam Cole and The Young Bucks at the helm. After Cole embarrassed Lethal as BC shaved his head in the ring ropes, he was seemingly written out of the Title picture by Matchmaker Nigel McGuinness. That was until Lethal begged for Cole’s blood and opted to challenge him for his next Title defense. 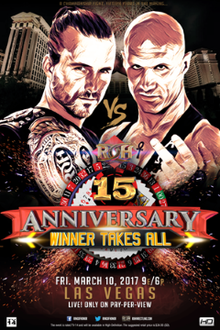 So the stage was set in Sam’s Town in Las Vegas, Nevada for “Death Before Dishonor” as a Cole-Lethal ROH World Championship match would lead the card by example. There were some other high points in a night where the roster delivered top-to-bottom. Was every match a hit? Not exactly, but the studs certainly made up for the duds. Ring Of Honor has always been great at simple storytelling when it comes to tradition. 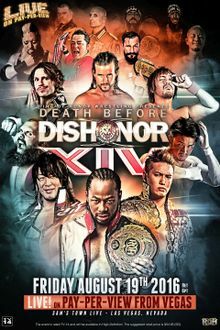 With a main event branded as “One Year In The Making,” ROH World Champion Jay Lethal and Jay Briscoe would meet again to settle a score as Briscoe finally redeemed his rematch ever since Lethal became the first to beat him in three years and uncrown his throne. 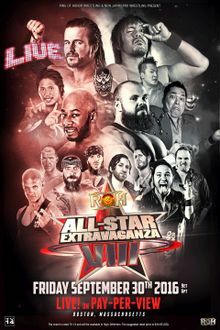 There was also a pretty good undercard – Roderick Strong (who was knowingly leaving the company shortly) vs. Mark Briscoe in a “Battle For Respect,” as well as a ROH World Television Championship encounter between Champion Bobby Fish and Dalton Castle. 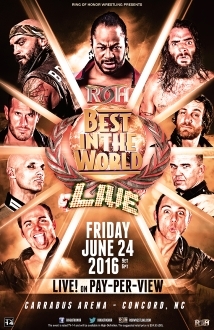 Going two years in the making, we’d also finally get that Steve Corino-BJ Whitmer match. When it comes down to it, this show succeeded at giving fans a little bit of everything to whet their appetites. No standout matches, but consistent nevertheless.